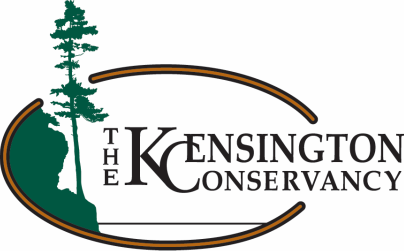 The Kensington Conservancy is hosting an annual book club event. Each year we plan to host an evening of discussion about a book that we consider will be of interest to our members and the community at large. On Thursday August 9, 2018, come for a discussion on invasive and non-native species at 5:30pm at the TKC Conservation Centre. Refreshments and munchies will be served. We will be informed by the book, The Death and Life of the Great Lakes, loaner copies of which are available at the Centre. The book also is available for download on your Kindle. By Pulitzer finalist Dan Egan, the book reads more like a novel than a narrative and moves along at a fast pace. What invasive species impact us in the Desbarats area? What are the threats? What is the harm? Is there anything good about any of them? What are we doing about these species and what else can we do to protect our lands, waters and creatures? An expert from the Invasive Species Centre will be joining us. Let's get together to discuss and learn for what should be a very informative hour. The Great Lakes—Erie, Huron, Michigan, Ontario and Superior—hold 20 percent of the world’s supply of surface fresh water and provide sustenance, work and recreation for tens of millions of Americans. But they are under threat as never before, and their problems are spreading across the continent. The Death and Life of the Great Lakes is prize-winning reporter Dan Egan’s compulsively readable portrait of an ecological catastrophe happening right before our eyes, blending the epic story of the lakes with an examination of the perils they face and the ways we can restore and preserve them for generations to come. For thousands of years the pristine Great Lakes were separated from the Atlantic Ocean by the roaring Niagara Falls and from the Mississippi River basin by a “sub-continental divide.” Beginning in the late 1800s, these barriers were circumvented to attract oceangoing freighters from the Atlantic and to allow Chicago’s sewage to float out to the Mississippi. These were engineering marvels in their time—and the changes in Chicago arrested a deadly cycle of waterborne illnesses—but they have had horrendous unforeseen consequences. Egan provides a chilling account of how sea lamprey, zebra and quagga mussels and other invaders have made their way into the lakes, decimating native species and largely destroying the age-old ecosystem. And because the lakes are no longer isolated, the invaders now threaten water intake pipes, hydroelectric dams and other infrastructure across the country. Egan also explores why outbreaks of toxic algae stemming from the over-application of farm fertilizer have left massive biological “dead zones” that threaten the supply of fresh water. He examines fluctuations in the levels of the lakes caused by manmade climate change and overzealous dredging of shipping channels. And he reports on the chronic threats to siphon off Great Lakes water to slake drier regions of America or to be sold abroad.